Round1 15/11/2008: Tatenda Chingarath man of the match !!! Reserves: Jason Petrus, Shaun Kamatuka, Edwin Korukuve "Guti", Jaques Stephanus 'Jacky', Sven Wiedenroth. Goals: 1-0 Tigers 44min, 1-1 M.van Wyk 48min , Chepela Chepela 58min, Shaun Kamatuka 68min. Changes: S.Gowaseb for S.Kamatuka, E.Korukuve for T.Jagger, J.Stephanus for Chepela. Round 2 21/11/2008: Warren Neidel man of the match !!! Reserves: Jason Petrus, Edwin Korukuve, Edmund Gowaseb, Danny Chiufa, Patrick M'Kontwana, Harry Januarie. Goals: 1-0 Warren Neidel 58 min, 2-0 Warren Neidel 64min. Round3 29/11/2008: Tatenda Chingarath man of the match !!! Reserves: Ralph Ellinger, Edwin Korukuve, Jaques Stephanus, Danny Chiufa, Shaun Kamatuka, Harry Januarie. Goals: 1-0 Tatenda Chingarath 19 min, 2-0 Edmund Gowaseb 59min. Yellow: Sheldon du Plessies 5min, Tatenda Chingarath 25min. ROUND 4 - SKW stay top ! With an excellent performance the Cymot boys outplayed their counterparts Mighty Gunners in rainy conditions. With the starting whistle it began to rain heavily in the Mokati Stadium in Otjiwarongo. As SKW didn't convert their chances into goals in the first half the team went goalless into the halftime break. 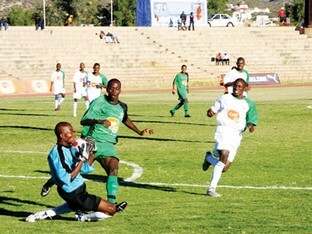 Without Zimbabwean Striker Tatenda Chingarath and Silver Zemburuka, both injured, SKW started the game with a 4 5 1 system. At break the green and white outfit changed their system into a 4 4 2, which benefited into a goal by Marko van Wyk shortly after the team was back on the water soaked pitch. Jacky Stephanus scored a world-class header after a delivery from Tjonno Jagger which the linesman ruled offside. In the 80th minute Arend von Stryk had to be carried off the field with a broken nose. Just before the final whistle it was again man of the match Marko van Wyk who could sink the ball after a fine combination between Patrick M'Kontwana, Elias Lisaku and Edmund Gowaseb. Gowaseb played a major part in the SKW victory yesterday afternoon. Reserves: Edwin Korukuve, Jaques Stephanus, Danny Chiufa, Harry Januarie, Patrick M'Kontwana. Goals: 1-0 Marco van Wyk 48 min, 2-0 Marco van Wyk 88min. SKW Squad: Sven Wiedenroth, Patrick M'Kontwana, Sheldon du Plessies, Elias Lisaku, Ralph Ellinger, Edmund Gowaseb, Marco van Wyk, Tjonno Jagger, Warren Neidel, Chepela Chepela, Tatenda Chingarath. Reserves: Edwin Korukuve, Jaques Stephanus, Danny Chiufa, Harry Januarie, Frans van Wyk, Jason Petrus. The SKW Team departed Friday, 19 December 2008, 9h00 to Oshakati and returned after 24 hours safely to Windhoek. was without a doubt man of the match against Oshakati, leaving 2nd keeper 41 year old Frank Schatz on the bench. SKW Squad: Harry Januarie, Silver Zemburuka, Elias Lisaku, Ralph Ellinger, Edmund Gowaseb, Marco van Wyk, Tjonno Jagger, Warren Neidel, Chepela Chepela, Tatenda Chingarath, Jaques Stephanus. Reserves: Edwin Korukuve, Danny Chiufa, Jason Petrus, Patrick M'Kontwana, Shaun Kamatuka, Frank Schatz. SKW looses by scoring an own goal after taking the lead in the 33 min. Coach Starke "It just wasn't enough time to prepare. After a three week break one week training is not enough, Stars were simply better in the second half. We had three to four players which weren't present yesterday." African Stars revealed their title credentials when they came from a goal down to beat Cymot SKW 2-1 at the SKW field on Wednesday night. Chepela Chepela gave the home side the lead when he stabbed in a loose ball, but Stars equalised just before halftime through an own goal by Sheldon du Plessis, who made a hash of clearing a cross, after SKW Warren Neidel made a mess up, when he tried to play a casual pass in the danger area. SKW however took the lead on 33m when Stars’ keeper Max Mbaeva fumbled a high ball and Chepela Chepela was on him in a flash to stab the loose ball into the net. Stars’ equaliser, shortly before the break, was rather fortunate as Muheua sent in a cross into the box and Du Plessis tried to clear it, but instead hacked the ball into his own net. Stars continued to pressurise SKW in the second half with Muheua and Louw combining well in midfield. From a corner Muheua nearly scored as SKW keeper Harry Januarie had to pull out all the stops to hold onto his cracking shot. At the other end, Stars keeper Mbaeva saved well from a Marco van Wyk volley, but it was Stars who took the lead on 76m. Rudi Louw sent in a perfect cross into the box and Ngueza outjumped SKW’s defence to head the ball into the net. Louw however spoiled his debut when he was red carded for a scuffle with SKW winger Tjono Jagger in the final stages of the game. In the final stages, Stars’ substitute striker Nico Andima came close with a 20m strike which was well saved by Januarie, while a shot by SKW striker Shaun Kamutuka hit the crossbar. SKW Squad: Harry Januarie, Silver Zemburuka, Ralph Ellinger, Edmund Gowaseb, Marco van Wyk, Tjonno Jagger, Warren Neidel, Chepela Chepela, Shaun Kamatuka, Jaques Stephanus, Sheldon du Plessis. Reserves: Edwin Korukuve, Jason Petrus, Patrick M'Kontwana, Arent von Stryk, Elias Lisaku, Sven Wiedenroth. "We had a bit of luck to take all 3 points from here, but our guys fought very hard for those", two happy coaches said after the game last night in Khomasdal. Marko van Wyk, Warren Neidel and substitute Shaun Kamatuka had their off day while Arent von Stryk, Tjonno Jagger, Patrick M'Kontwana and big defender Ralph Ellinger did well for the Olympia based side. "We have got the points the others still must collect them", Lucky Kakuva and Rolf Beiter stated immediately after the match. SKW Squad: Harry Januarie, Ralph Ellinger, Edmund Gowaseb, Marco van Wyk, Tjonno Jagger, Warren Neidel, Chepela Chepela, Edwin Korukuve, Sheldon du Plessis, Patrick M'Kontwana, Arent von Stryk. Reserves: Shaun Kamatuka, Jaques Stephanus, Jason Petrus, Elias Lisaku, Sven Wiedenroth. the 19 year old seems to made it in the regular starting eleven. SKW Squad: Sven Wiedenroth, Ralph Ellinger, Edmund Gowaseb, Marco van Wyk, Tjonno Jagger, Warren Neidel, Chepela Chepela, Edwin Korukuve, Sheldon du Plessis, Patrick M'Kontwana, Arent von Stryk. Reserves: Jaques Stephanus, Jason Petrus, Elias Lisaku, Harry Januarie, Günter von Hundelshausen. 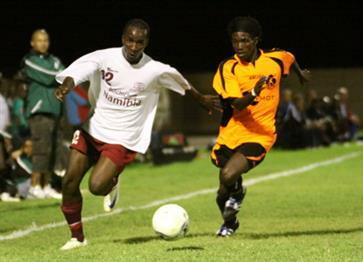 Cymot SKW bounced back into competition when they beat Eleven Arrows 1-0 at the SKW Stadium. The coaches: "We knew Arrows is very strong upfront with Bester behind in midfield, that's why we played a midfield pressing to support our defence, while we switched to quick attacking when we had ball possession. We had more clear chances to extend our lead but to be fair, Arrows also missed two sitters." A Sheldon du Plessis throw in from the right side onto Capt. 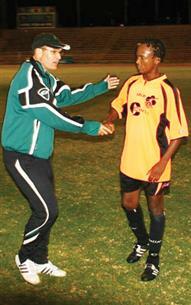 Marco van Wyk resulted in Marco scoring the winner after only seven minutes when he swivelled, and volleyed home. SKW defended resolutely, with Sheldon du Plessis (man of the match) and Gunther von Hundelshausen in fine form at the back. The victory saw SKW overtaking Arrows into second place on 24 points, while Arrows dropped down to joint third with Orlando Pirates on 22 points. Lucky Kakuva co-coach thanked Swiss Philip Müller before the game in his speech to the team, for introducing some new trainings tactics and for helping out to get more out of individual players. SKW's other co-coach Rolf Beiter to SKW News: " It's a pity he has to leave us already on Wednesday, it was a great experience to work together with a dedicated football person. Mr Müller will have a practical session tonight with the SKW youth coaches after having a theoretical session during last week." Mr Müller to SKW News : " Youth coaches have to get used to built football players where it's not important if you win cups and medals!" . Stars goes clear with 7points after beating Ramblers by the same margin. Orlando scored a last minute winner against Santos in Tsumeb while Santos missed a penalty shortly be fore Samson John slotet home the winner. SKW Squad: Sven Wiedenroth, Ralph Ellinger, Edmund Gowaseb, Marco van Wyk, Jason Petrus, Günter von Hundelshausen, Chepela Chepela, Edwin Korukuve, Sheldon du Plessis, Patrick M'Kontwana, Tatenda Chingarah. Reserves: Jaques Stephanus, Frans van Wyk, Elias Lisaku, Harry Januarie, Tjonno Jagger, Warren Neidel. Sheldon du Plesiss the SKW right defender was named man of the match in the hot clash of the weekend against Eleven Arrows. 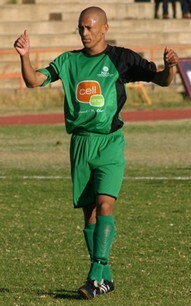 Marko van Wyk (Cymot SKW) scored the winner against Eleven Arrows with a fine volley. SKW had a brilliant first half leaving Tigers without a change. In the second half SKW had about 20 minutes where the Team lost a bit concentration before the players regained momentum to finish of their counterparts. The coaches: If our players stick with discipline to our game plan we will become better and better. SKW's outstanding players : Chepela Chepela, Edwin Korukuve, Sven Wiedenroth and Capt Marco van Wyk while Jacky Stephanus did utilise his call up and left a good impression. SKW Squad: Sven Wiedenroth, Ralph Ellinger, Warren Neidel, Edmund Gowaseb, Marco van Wyk, Jaques Stephanus, Günter von Hundelshausen, Chepela Chepela, Edwin Korukuve, Sheldon du Plessis, Tjonno Jagger. Reserves: Frans van Wyk, Elias Lisaku, Harry Januarie, Jason Petrus, Shaun Kamatuka, René Traut . 2-1 46min Malgas Tigers (pen) doubtful penalty into right corner - Keeper Wiedenroth without any chance. 4-1 82min Marko van Wyk - a fine cross from the left side Kamatuka onto van Wyk who volleyed home a brilliant goal left bottom into goal. SKW had a again a good first half and could take a 2-0 lead into the change rooms. The second half started scrappy with Hotspurs kicking long balls up the field into the SKW half , when the SKW defence caught napping in the 68 minute. In the dieing stages of the game the green whites could regain momentum and sealed the encounter with two more goals. René Traut made his first appearance for the Sport Klub Windhoek in the Namibian Premier League. He took over the no 10 jersey, as the sad news arrived late Friday, that Arent von Stryk has torn his cruciate ligament in his right knee again and will be out for the season. René crossed a fine ball from the right side in the 85th minute which Super Marko volleyed home. The coaches: Not one of our best of games - but the 3 pionts are the most important. SKW's outstanding players : Ralph Ellinger and Sheldon van Wyk. Reserves: Frans van Wyk, Elias Lisaku, Harry Januarie, Jason Petrus, Maceille Delie, René Traut . Sunday, 15 March 2009. Cymot SKW has to travel to Otjiwarongo to play their first game in the Cellone Cup. The team met at 11h30 for lunch at the club when Chepela Chepela had to quit due to a flu. The two coaches decided to leave Chippa at home to let him recover. On a pitch which needed a cut and in warm conditions SKW took the lead from Capt Marko van Wyk when he slotted home a good ball from youngster 'Guti' Edwin Korukuve. Kakuvas’ and Beiters’ men then switched two gears back and started having a casual Sunday afternoon match, which did not amuse the two coaches. While Tjonno Jager and Patrick M'Kontwana did have their off day Life Fighter managed to equalise shortly before halftime. After a solid speech by the two coaches it took the 'Imawida's' 66minutes before Sheldon du Plessis took a ball and overlapped on the right. Just before the 16 yard box he played the ball onto Korukuve who returned the ball directly to the defender who made 2-1 for the favourites. Controlling the game from then on it was tiny Sledge Gowaseb who cracked a 31meter ball into the roof of the net to put the game beyond reach of the Otjiwarongo based side. At 22h30 the team arrived back in Windhoek when the two coaches gave them the Monday session off. SKW's outstanding players : Günter von Hundelshausen, Marko van Wyk and Sheldon du Plessis, Barnes Lisaku. SKW Squad: Harry Januarie , Ralph Ellinger, Warren Neidel, Edmund Gowaseb, Marco van Wyk, Patrick , Günter von Hundelshausen, Elias Lisaku, Edwin Korukuve, Sheldon du Plessis, Tjonno Jagger. Reserves: Jaques Stephanus, Shaun Kamatuka ,Sven Wiedenroth, René Traut. 3-1 88min Sledge Gowaseb hitting a 31m cracker into the roof of the net. 3min Penalty foul on Marko van Wyk – shoots himself fine goal , but disallowed – had to retake and Ram keeper saved. 2nd half Ramblers only plays long ball into our half . we start to adopted to the opponents game letting the ball not run anymore amongst ourselves. game gets worse– eventually finished while our changes haven't been fruitful anymore. SKW Squad: Harry Januarie, Ralph Ellinger, Warren Neidel, Edmund Gowaseb, Marco van Wyk, Chepela Chepela, Günter von Hundelshausen, Elias Lisaku, Edwin Korukuve, Sheldon du Plessis, Jaques Stephanus . Reserves: Tjonno Jagger , Patrick M'Kontwana, Frans van Wyk, Shaun Kamatuka , Sven Wiedenroth, René Traut. One of those games - not very entertaining but effective for the Olympia based side. After loosing Sheldon du Plessis and Marko van Wyk, the coaches went for the young guys in fielding three very young players from the start. Two of them, Shaun Kamatuka and Jacky Stephanus in attack with the third youngster, Edwin Korukuve, in the right midfield position. It was the youngsters who prepared and scored the golden goal of the match, with Shaun Kamatuka pressing a loose ball in Gunners defence winning the battle and scoring. SKW's defence stood solid and kept the result while SKW switched back at least three gears at halftime only doing the neccesery effort, to take home the three points to go top of the log. SKW Squad: Sven Wiedenroth, Barnes - Elias Lisaku, Günter von Hundelshausen, Ralph Ellinger, Warren - Fernando Neidel, Guti - Edwin Korukuve, Chepela Chepela, Sledge - Edmund Gowaseb, Patrick M'Kontwana, Shaun Kamatuka, Jacky - Jaques Stephanus. Reserves: Franz van Wyk, René Traut (Fish), Tjonno Jagger, Thierry Kanko, Marcelle Delie, Harry - Herman Januarie. Goal: 1-0 11min Shaun Kamatuka after pressing a loose Ball. NB: The match between Eleven Arrows vs. African Stars is postponed indefinitely because Eleven Arrows FC has four players. Dramatic till the end - 114 minutes of football. - SKW keeper Harry Januarie is still in central hospital waiting for a scan. Twice the referee Alvo Mufeti had to play overtime due to injuries. In the first half he added 6 minutes while adding 8 minutes to the second half. SKW keeper is still in central hospital waiting for a scan, after taking a heavy knock in the 88 minute when Pirates defender Ivan Makina late tackled Januarie. SKW could score after a fine combination through midfield when Jacky Stephanus healed the ball onto fellow striker Marko van Wyk who out played two Pirates defenders and sunk the ball coolly into the right hand corner. Pirates never gave up the fight and tried hard to get the equaliser but the SKW defence marshalled by Ralph Ellinger stood firm. The SKW had to make a change in the central defence due to Günter von Hundelshausen getting married and asked the club for a week leave. The coaching team introduced big Congolese Thierry Kangonde for his first 90 minutes in the SKW jersey, which he paid back with a super performance. Shorttly befor the end of the game SKW keeper Januarie had to be replaced by regular no one keeper Sven Wiedenroth, which lead to the long extra time. SKW's outstanding players: Chepela Chepela who was nominated as SKW player of the match and Ralph Ellinger , Congolese Thierry Kango and right defender Sheldon du Plessis, Jacky Stephanus and capt Marko van Wyk. SKW Squad: Harry - Herman Januarie , Sheldon du Plessis, Thierry Kangonde, Ralph Ellinger, Warren - Fernando Neidel, Guti - Edwin Korukuve, Chepela Chepela, Sledge - Edmund Gowaseb, Barnes - Elias Lisaku, Marko van Wyk (capt), Jacky - Jaques Stephanus. Reserves: Franz van Wyk, René Traut (Fish), Tjonno Jagger, Thierry Kangonde, Shaun Kamatuka, Sven Wiedenroth. Goal: 1-0 24min Marko van Wyk after a fine combination with Jacky Stephanus who healed the ball onto van Wkyl. SKW co-coach Rolf Beiter, interviewed after they beat Pirates 1-0 on April 18, 2009. Few spectators, no ball boys, and not even match balls at the beginning of the NFA cup match was the start to an scrappy football match. When the balls arrived SKW keeper Januarie had to inflate air into the eight balls to get them on FIFA standard. SKW didn't hesitate to provide their own balls to start off the moeneywise highest rated tournament ever. Marchelle Delie, a 18-year youngster who was fielded this year for the first time, got his chance of showing off his skills and presented the 1 - 0 in the 11th minute for the Cymot boys. Fedics surprisingly equalised after a defensive error when Warren Neidel misjudged a ball. It was one all when the poor refereeing team who seemingly adopted to the poor performance of the game started to forget some rules and made strange decisions which affected both teams. Shortly before halftime it was Edwin Korukuve who struck the second goal for SKW. After the break it was only our team playing, when the coaches brought in two offensive players Tjono Jagger and Frans van Wyk for two defensive ones. They took out defensive midfielder Chepella, who had to take a couple of ugly knocks, and big Congolese defender Thierry Kangonde. After a fine combination it was the SKW skipper Marko van Wyk, who like the referee took his off day , and again Korukuve, to take the "Imawidas" to the next round. The Cymot SKW u/17 started the U/17 league with a 4-1 victory, the team is managed and trained by the NPL coach Lesley Kakuva. It seems the green and white engine starts to gain temperature with the SKW u/11 and u/13 leading their leagues, while the u/15 is occupying second spot. SKW's outstanding players: Jacky Stephanus who was nominated as SKW player of the match and Ralph Ellinger , Keeper Sven Wiedenroth. SKW Squad: Sven Wiedenroth, Sheldon du Plessis, Thierry Kankonde , Ralph Ellinger, Warren - Fernando Neidel, Guti - Edwin Korukuve, Chepela Chepela, Sledge - Edmund Gowaseb, Marchelle Delie, Marko van Wyk (capt), Jacky - Jaques Stephanus. Reserves: Harry - Herman Januarie, Elias -Barnes Lisaku, Franz van Wyk, René Traut (Fish), Tjonno Jagger, Shaun Kamatuka, Jason Petrus . 1 - 4 85 min Edwin "Guti" Korukuve. Photo Namibia Sport Magazine: Ralph Ellinger and Sven Wiedenroth celebrating their victory over Pirates. 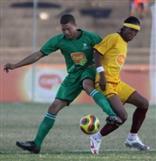 Photo Namibia Sport Magazine: Jacky Stephanus (SKW) against Ramblers. Photo SKW webmaster: Günter von Hundelshausen (SKW). Photos Namibia Sport Magazine: Helge Schutz. Photo SKW webmaster: Barnes Lisaku (SKW). Photo Namibia Sport Magazine: Edwin Korukuve (SKW). Photo Namibia Sport Magazine: Marko van Wyk (SKW). A one sided match when the Olympia based SKW team forgot to round of some beautiful combinations with more goals. At the end it was an well deserved win over the City boy's who only were playing long ball's into the SKW half, which the home team took down and started attacking. The coaches: "SKW played their best game the of the last 4 matches, unlucky we didn't score more goals": a happy Lucky Kakuva statet after the match. SKW's outstanding players: Sledge Gowaseb who was nominated as SKW player of the match and Jacky Stephanus, Sheldon du Plessis, Edwin Korukuve and Chepella. SKW Squad: Harry - Herman Januarie, Sheldon du Plessis, Thierry Kankonde , Ralph Ellinger, Warren - Fernando Neidel, Guti - Edwin Korukuve, Chepela Chepela, Sledge - Edmund Gowaseb, Elias -Barnes Lisaku, Marko van Wyk (capt), Jacky - Jaques Stephanus. Reserves: Sven Wiedenroth, Franz van Wyk, René Traut (Fish), Tjonno Jagger, Jason Petrus, Günter von Hundelshausen, Shaun Kamatuka. Goal: 0 - 1 65min Jacky Stephanus after surpurb cross from Korukove "header"
Photo SKW Webmaster: Jacky Stewphanus scorer of the goalden goal against Oshakati City 2. May 2009. In a full SKW Stadium it was an open game till the 70th minute when referee Shikongo made a crucial decision by sending off SKW goal keeper Sven Wiedenroth and subsequently awarding BA a penalty. The referee blew a freekick for Wiedenroth, when apparently the SKW keeper retaliated and got sent off. The game should then have been restarted with the free kick when Shikongo decided it's a penalty. BA went 0-1 ahead after 20min. Right after half time it seemed the SKW boys were still in the change room when Black Africa went up 0 - 2. 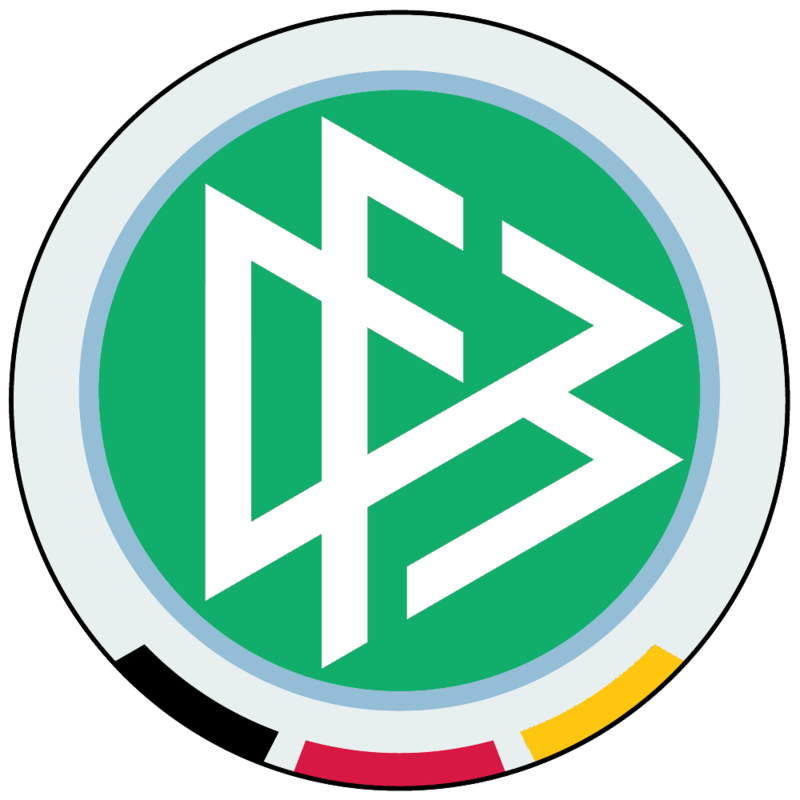 Chepella had to be replaced by Günter von Hundelshausen after a heavy challenge by the BA skipper Lolo Gowaseb, which was the second foul in a short time span. The NPL Referee decided not to sent Gowaseb off the field, while he started to hand out yellow cards left right and centre to the in green playing Cymot boys. Barnes Lisaku pulled back a goal just a minute later with a beautifully taken freekick into the left top corner. SKW took control of the game till the incident in the 70th minute when the game plan of SKW was destroyed by the red card. Black Africa striker Clarence Foroma scored the 1-4 after a fine counter attack to seal the game. The coaches: "Sometimes you win some time you loose - one cannot win all your games, you also have to loose here and there, for us is after the match is before the next match. Some people wondered why we didn't bring on goalkeeper Harry Januarie, that was because we had more of the attacking in the second half and were closer of equalising than BA scoring their third goal. The referee's decision to award a penalty to BA (which was a wrong decision), caught us off-guard. For the spectators it was a football game including all that football can present. Congratulations to Black Africa !" Namibia Sport Magazine: "SKW’s co-coach Rolf Beiter refused to blame the referee, saying that it was just not SKW’s night. “I don’t know what Sven did or what the referee saw, but it shouldn’t have been a penalty. He had already blown when Sven was fouled and awarded a freekick to us, but I won't blame the referee for our defeat. It was just one of those strange games, where we were the better team, but lost the match – nearly like Chelsea’s defeat to Barcelona,” he said. " SKW's outstanding players: Warren Neidel, Günter von Hundelshausen and Sheldon du Plessis. Score: Cymot SKW vs Black Africa Fulltime1 - 4 (Halftime 0 - 1). SKW Squad: Sven Wiedenroth, Sheldon du Plessis, Thierry Kankonde , Ralph Ellinger, Warren - Fernando Neidel, Guti - Edwin Korukuve, Chepela Chepela, Elias -Barnes Lisaku, Marko van Wyk (capt), Jacky - Jaques Stephanus, Tatenda Chingarah. Reserves: Harry - Herman Januarie , Franz van Wyk, René Traut (Fish), Tjonno Jagger, Günter von Hundelshausen, Shaun Kamatuka. 1 - 3 71min Jerome Louis BA penalty. Yellows: Black Africa (2), SKW (4) Tadenda Chingarah, Warren Neidel, Günter von Hundelshausen, Barnes Lisaku. SKW's outstanding players: Edmund Gowaseb, Günter von Hundelshausen and Jacky Stephanus. Lisaku, Sledge - Edmund Gowaseb, Chepela Chepela, Tjonno Jagger, Jacky - Jaques Stephanus, Marco van Wyk. Reserves: Franz van Wyk, René Traut (Fish), Shaun Kamatuka, Silver Zemburuka, Sven Wiedenroth, Tatenda Chingarah. Coaches: Lucky Kakuva, Richard Starke - Physio Frank Schatz. African Stars beat Cymot SKW 1-0 at Windhoek’s Independence Stadium in front of about 4 000 spectators on Wednesday night. Ninja Karongee scored the winning goal on 28m and fired home a fine shot that gave SKW keeper Harry Januarie no chance. Barely four minutes later SKW suffered a further blow when defender Ralph Ellinger was sent off, by referee Simon Araseb who had a goog game, for a professional foul on Heinrich Kazerua. SKW came out a different team after the break and launched several attacks and Shaun Kamatuka should have brought the teams on level terms but the youngster missed a sitter from close range. SKW’s inspirational captain Marko van Wyk brought a good save out of Maxmillian Mbaeva with a well-taken volley from close range. Stars held on for a well deserved victory. SKW's outstanding players: man of match Chepela Chepela, Sledge Gowaseb. SKW Squad: Harry - Herman Januarie, Chepela Chepela, Guti - Edwin Korukuve, Günter von Hundelshausen, Marco van Wyk, Ralph Ellinger, Shaun Kamatuka, Sheldon du Plessies, Silver Zemburuka, Sledge - Edmund Gowaseb, Tatenda Chingarah. Reserves: Barnes - Elias Lisaku, Jacky - Jaques Stephanus, Jason Nathaniel Petrus, Thierry Kankonde, Tjonno Jagger. The Cymot SKW boys had no one else to blame than themselves for not bringing home three points from Tsumeb. Cymot SKW wasted numerous goal chances when suddenly a long ball from Santos bounced very badly for our defence which Santos used to equalize. For instance, Edwin Korukuve (SKW) shoots the ball against Marko van Wyk (SKW) with all Santos players beaten - empty goal, Santos clears twice off the line - just not our day ! SKW Squad: Sven Wiedenroth, Fernando Neidel, Silver Zemburuka, Günter von Hundelshausen, Sheldon du Plessies, Guti - Edwin Korukuve, Chepela Chepela, Tatenda Chingarah, Sledge - Edmund Gowaseb, Marco van Wyk, Jacky Stephanus. Reserves: Harry - Herman Januarie, Jason Nathaniel Petrus, Shaun Kamatuka (yellow), Patrick M'Kontwana, Arent von Stryk. Goal: Marko van Wyk (SKW) 0 - 1, Ricardo Witbeen 1 - 1. Officials: Lucky Kakuva, Richard Starke, Rolf Beiter, Frank Schatz. SKW's outstanding players: man of match Chepela Chepela, Sven Wiedenroth, Warren Neidel and Silver Zemburuka. SKW Squad: Harry - Herman Januarie, Fernando Neidel, Silver Zemburuka, Günter von Hundelshausen, Guti - Edwin Korukuve, Chepela Chepela, Tatenda Chingarah, Sledge - Edmund Gowaseb, Marco van Wyk, Jacky Stephanus. Reserves: Jason Nathaniel Petrus, Arent von Stryk, Frank Schatz, Thierry Kangkonde. Goal: Rudolph Bester 1-0 2-0 (Arrows) , Marko van Wyk (SKW) 2 - 1. SKW's outstanding players: man of match Sledge - Edmund Gowaseb and Chepela Chepela. SKW Squad: Sven Wiedenroth, Fernando Neidel, Ralph Ellinger, Günter von Hundelshausen, Sheldon du Plessies, Guti - Edwin Korukuve, Chepela Chepela, Tatenda Chingarah, Sledge - Edmund Gowaseb, Shaun Kamatuka, Jacky Stephanus. Reserves: Harry - Herman Januarie, Silver Zemburuka, Marco van Wyk , Patrick M'Kontwana, Arent von Stryk. Goal: Eslin Kamuhanga 0 - 1 (Civics). SKW's outstanding players: man of match Chepela Chepela, Sven Wiedenroth. while Edmund 'Sledge' Gowaseb became sportiest player of the season 2007/08. The award for the most enthusiastic SKW Official this year went to coach and PR man Rolf Beiter.